Twin boy basket, two baskets filled with two of the same baby items. 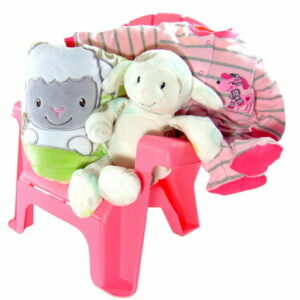 Each basket will be delivered as one baby twins gift basket. 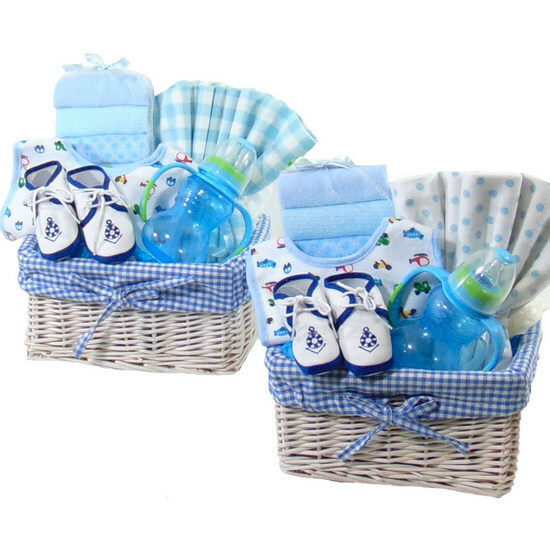 Twin boy basket Contains: Two Baskets with blue checkered liner. Two Blue bib. Two Receiving blanket blue. Two Carter sets of 5 washcloths blue. Two Blue shoes. Baby and Two Baby feeding bottles blue.